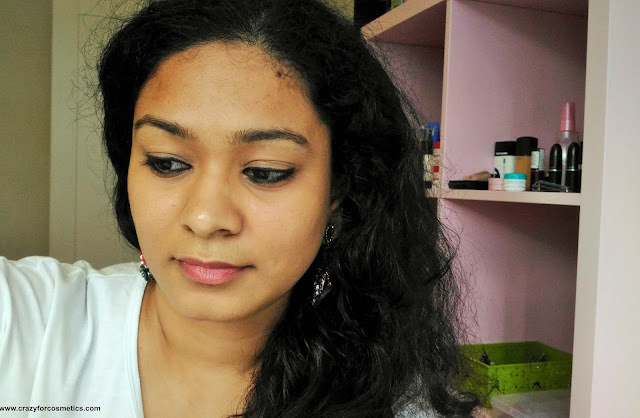 My first makeup craze started with eyeliners & I used to buy Maybelline & Lakme colored liners and try them. I used to be so fascinated by them and cherish them so much that when Maybelline first introduced their gel liner, I went crazy & bought it the same day it was released. I used to love how jet black it used to turn out. 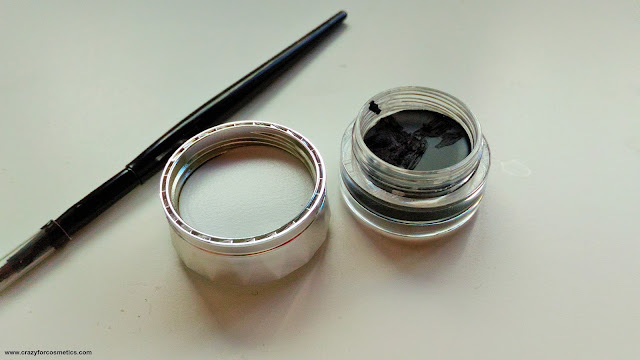 The only con of a gel liner was that it dries up really fast & it is tough to work with it in that stage. The brush too needs to be cleaned after every single use , in order to be able to work with it the next time , else the liner would dry up on the bristles too. I kind of gave up on Gel liners and did not invest after that , until Maybelline revamped the packaging of their gel liners & claimed 36 hours stay time. I was tempted to try it out & had read enough reviews to convince myself to get it. 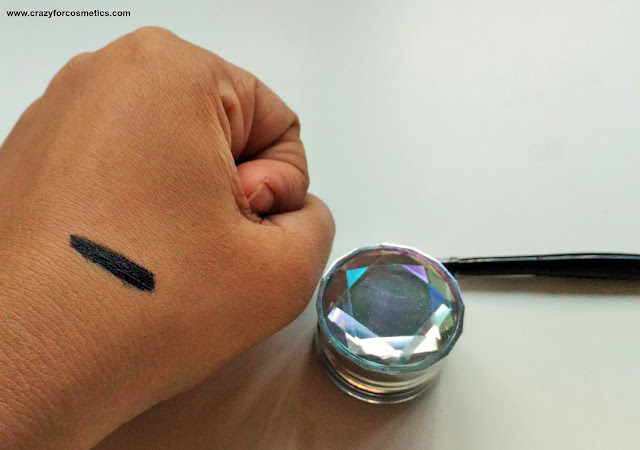 I finally gave in and bought it and again had a great love affair with it, until I had no time to use a gel liner & now it sits there like a rock , not budging even a little bit. I have time to only use a liquid liner & I prefer it for a thin application. I had gone to this store called Daiso in SG recently for some home needs , when I stumbled upon their Cosmetics section(it was not a planned one- trust me). 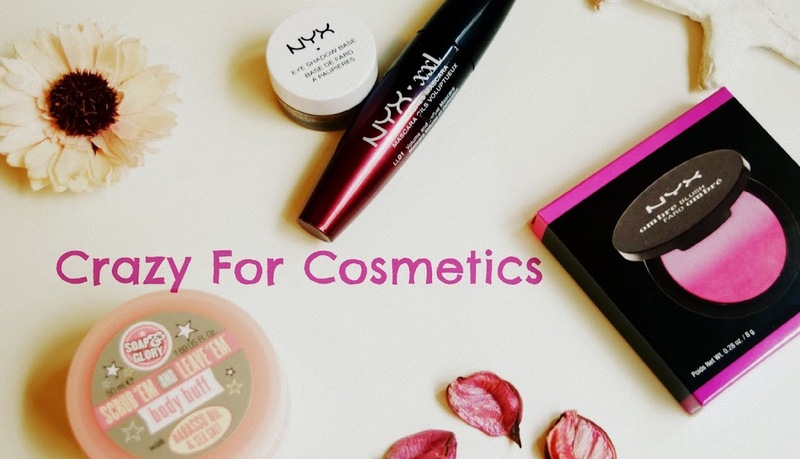 They do not have a huge cosmetics section, but they have all the basic products and you know what ? Daiso retails all its products for 2 SGD. My Rimmel London liquid liner had dried up and it is on the verge of finishing. So I wanted a liquid liner at first & then I saw this shiny little fellow hiding there. I could not resist the cute packaging & told to myself- Come on its just 2 SGD, nothing wrong in trying it out. That was the long story about my gel liner history & yes now I am going to review Daiso Japan's Gel Liner. The packaging is so cute, that it caught my attention from a distance. 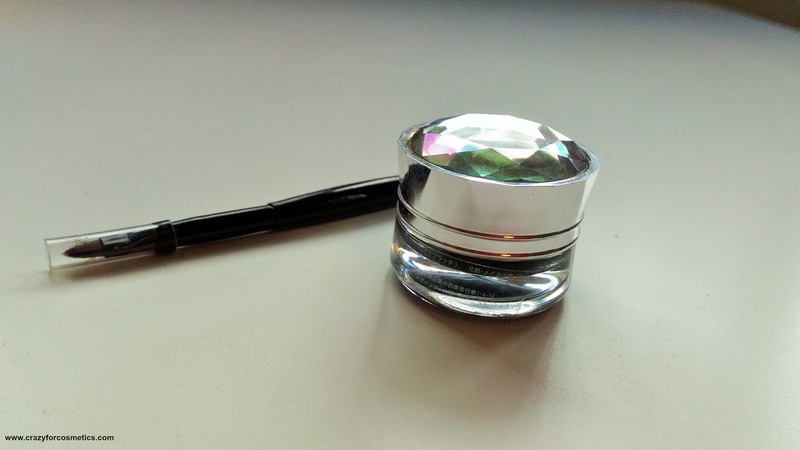 It has this shiny, crystal kind of lid that reflects light & I fell for it. How was this possible for 2 dollars? There is so much product inside , that it would last you for a good 6 months even if used everyday. The brush is another breeze to work with and it is just like any other brush that you would get for a much more expensive liner. The shade is jet black & the texture is quite creamy too. 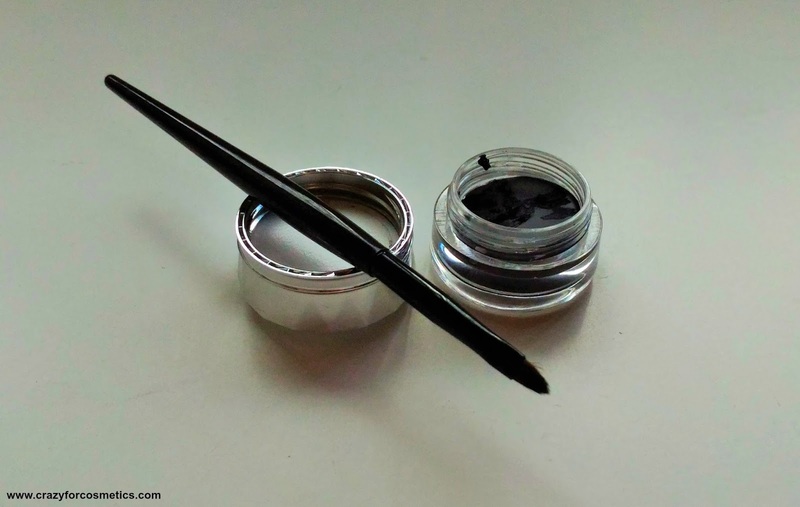 I found it very easy to work with this liner & it helps to create an easy medium to thick liner. The only con I felt was that some product that comes out during brush intervention tends to dry out into a small ball & there is a lot of wastage due to that. I know its hard to imagine what I am saying and hence the picture. The liner stays put for about 7 hours for me and I am loving the jet black color. 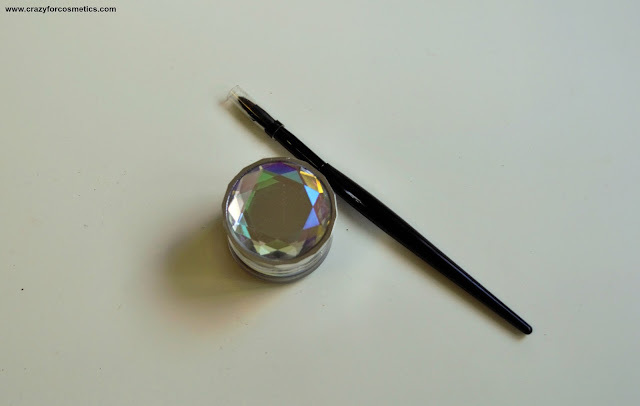 You need to wait for sometime for it to dry before you open your eyes widely, else it can smudge on your crease area. 1 : Small leftovers get dried up.